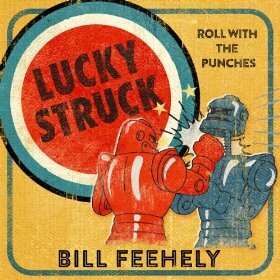 Bill Feehely is a talented singer songwriter who skillfully moves between country, country rock and much more in and around these two loose genres, a talent that should be enough for any man to thrive on but Bill is also a highly rated actor, director and writer. After just a few listens his voice seems to have a quality similar to an artist such as John Hiatt but perhaps a little more melodic and with the ability to inject a rawness into his vocals on the rockier numbers as well as a mellow tone on the ballads. His all original songs, two of them co-writes with his wife Celeste Krenz, are uniformly excellent and tell some fascinating stories on this album that was impressive from first listen but continues to reveal more with each play. There is raw chugging country rock that occasionally edges nearer to a melodic rock, mellow ballads that tug at the heartstrings and tempo's that range from slow and moody to up tempo country all played and sung with a tremendous atmosphere and skill. The arrangements are uniformly excellent, as is the playing by the talented group of musicians who have helped him out on this excellent album. Whilst there is a nice sometimes raw edginess to the album it is never overdone and could open up a path to the mainstream given a chance. He lives in Nashville, so is close to the mainstream base, but I suspect that he is a musician who chooses his own path and will, hopefully, refuse to have his excellent songs polished to blandness! In many ways this album can be looked on as an excellent over view of one man's musical talents and a good sign for the future with the varied songs, tempo's and diversity of styles within the loose 'country music' genre and it's offshoots. Whilst he is working in a very crowded generic field he has more than enough about his music to stand out from that crowd.